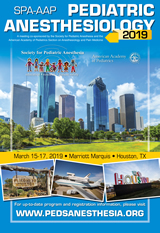 Welcome to the 6th Annual Meeting of the Society for Pediatric Pain Medicine (SPPM) at the Marriott Marquis in sunny Houston, Texas. Each year we strive to create a program to fulfill your top priorities. This year’s program fulfills the promise of providing an educational and collaborative experience of the highest quality. We have chosen topics that should be of interest to clinicians and researchers, covering the continuum of perioperative pain management, regional analgesia, chronic pain, palliative care, pain psychology and pain neurobiology. We will start bright and early with the session on problem based learning discussions which will provide a lively milieu for discussing day to day problematic cases. We will then dive straight into the leading national health concern - The Opioid Crisis - a daunting problem in adolescents and young adults. The experts in this session will describe the science and clinical management of substance abuse in adolescents. Dr. Raeford Brown, professor of pediatric anesthesia at the University of Kentucky, and FDA Special Government Employee, will delineate the effects of opioid addiction on the adolescent brain, risk-reward behavior, mechanisms of tolerance to opioid analgesia and new drugs on the horizon for reducing opioid diversion. Dr. Diana Diester, an assistant professor in psychology from Boston children’s hospital, will describe risk assessment, prevention and management of substance abuse in adolescents. These topics are not only of relevance to chronic pain and palliative medicine practitioners, but pivotal during acute postoperative pain as patients as opioids largely remain the mainstay of postoperative analgesia. The magnitude of the problem of opioid abuse has driven perioperative care to be hinged on minimization of opioids, so much so that there is a trend to completely avoid opioids in the operating room in exchange of other non-opioid modalities. Since we know that inadequately treated acute postoperative pain can beget chronic pain, there is concern for how little (opioids) is too little? – this precise question will be raised by Dr. David Moore, Associate professor of anesthesia from Cincinnati Children’s Hospital, who will reflect on a personal experience in his family in the emerging era of skimpy opioid use. Is the opioid scare inducing a swing in the pendulum that will boomerang into more patients with poor pain control and drive them to other substance abuse or illicit drug use? Should we really avoid opioids altogether for perioperative analgesia, and if so, how can we do so safely? Dr. Alan Bielsky from Children’s Hospital, Colorado, will draw swords against Dr. Tony Anderson from Stanford University to debate this hot topic. We will then be treated to a new look at pain management and concerns in children with sickle cell disease (SCD), a condition that challenges all pediatric pain providers. We will start this session with a face-to-face encounter with a SCD warrior who will share his/her pain experience with us. This discussion, facilitated by Dr. Benjamin Lee, director of pain service at Texas Children’s Hospital, will provide an excellent opportunity to interact with the patient in a non-clinical environment, and understand patient perspectives on dealing with pain from this disease. Dr. William Zempsky, MD, Division Head, Pain & Palliative Medicine at Connecticut Children’s Medical center will shed light on the pathophysiology of vaso-occlusive pain, transition from acute to chronic pain in SCD, and emerging mechanistic based treatment of SCD. Dr. Lee will then discuss racial- and ethnic-based healthcare disparities in pain care and their experience with efforts to improve access and outcomes in this population. A tasty and invigorating lunch with exhibitors will be followed by the next rich and vibrant session. As the day wears down, so does the attention span. To combat waning attention, we are presenting a mixed bag of interesting pain topics, that will be presented in a Ted talk style comprising short but stimulating talks. This session will start with Dr. Kenneth Goldschneider, director of chronic pain at Cincinnati Children’s Hospital, delving into mechanisms of phantom limb pain. This is a challenging pain problem encountered by perioperative pain providers who fight to prevent its development during amputations, and palliative care/chronic pain providers who treat phantom limb pain in children dealing with physical and mental constraints posed by disability and illness. We will then switch gears to hear about another integral part of many of our practices, regional analgesia. 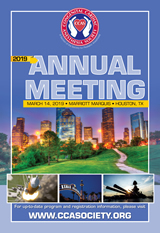 Dr. Nihar Patel, Associate Professor of Anesthesiology, Texas Children’s Hospital, will provide an update on the latest literature on newer blocks like erector spinae and suprascapular blocks, discussing techniques, uses and evidence for their efficacy. This will be followed by a talk on another hot topic, the pain that remains after an otherwise “successful” surgery. Dr. Jennifer Rabbitts, a physician scientist and pediatric anesthesiologist from Seattle Children’s will discuss preventive approaches and risk for chronic postsurgical pain in the pediatric population. The last Ted talk will be delivered by Dr. Laura Simons, PhD, Associate Professor of Anesthesiology, Perioperative and Pain Medicine from Stanford University, who will discuss the role of fear and avoidance in the context of pain and its persistence, as well as use of questionnaires, physiological, or brain imaging metrics to assess fear avoidance and catastrophizing in youth with pain. Finally, poster awards will be presented by the research committee and the meeting with conclude with our sensational workshops. Whether you need help perfecting your baby spinal skills, want advice in creating a successful research career, or are interested in learning more about acupuncture, chronic pain interventions or opioid management, it’s all here. Hope to see you all in Houston – a city known for cowboys, oil barons, great food, diversity and reliance in the face of hurricane Harvey. Personally, this city is close to my heart as my son was born here several years ago. Of course, Houston is also home to the Space Center, NASA’s astronaut training and flight control complex, and the Robert M Smith Award winner – our own Nancy Glass. We hope you will enjoy the hospitality of the Marquis Marriott, touted to be a bold new hotel located in the center of downtown Houston’s bustling energy where you can explore new possibilities in an urban oasis. It boasts of resort-like amenities, one-of-a-kind Texas-shaped lazy river, rooftop infinity pool and whirlpool, a high-energy multi-level sports bar, full-service spa, and six exciting restaurants. Last but not least, I’d like to thank everyone who helped create this year’s sensational program, especially my Program Co-Chair, Dr. Irfan Suleman, Dr. Rita Agarwal and all the members of the Education Committee, the SPPM Board of Directors and Executive Committee, and Kim Battle. Like they say in Houston, “Life's a rodeo and all you have to do is stay in the saddle.” So giddy-up and join us for this exciting ride – let us make it a memorable one!